Here we are, at a quarter-century of the Academy Awards. Such an auspicious moment should get a proper coming-out party, and what better way to celebrate the best in film by putting it on television? Yes, this year marks the debut of the Oscars on TV, and never let it be said that for the 25th Academy Awards, the Oscars gave the public what it wanted: genuine stunners. Suffice it to say that with three exceptions, all the winners in the categories Tuesdays With Oscar covers are forgotten, with that year's Best Picture suffering the worst fate. The Greatest Show on Earth ranks among the worst if not THE worst choice for Best Picture. I personally like the film, though I agree that it was a bad choice. In fact, I think it's an inexplicable one...up there with Crappie Redmayne's win over two actual acting performances versus his impersonation (two different things). I have nothing against The Greatest Show on Earth as a movie, finding it entertaining and a big, lavish, epic spectacle in the way Cecil B. De Mille specialized in big, lavish, epic spectacles, but I wouldn't have nominated it, let alone chosen it over any of the nominees. Further, I think the reason The Greatest Show on Earth is so hated among a group of critics is precisely because it won. I think this is a case of not seeing the forest for the trees. Is The Greatest Show on Earth THE Best Picture of 1952? I think the answer is pretty clear: NO! Even in 1952, I think many people would have said the choice was bizarre, if not downright insane. We'll get into the reasons for both its win and the controversy around it a bit later. Suffice it to say even then, the choice wasn't looked on with particular warmth, and now with more than half a century to look back on, we still wonder...seriously, The Greatest Show on Earth?! Let me start by saying I absolutely hate Hans Christian Andersen...the movie, not the writer. 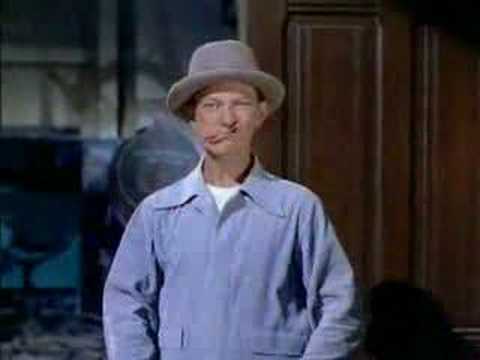 Danny Kaye annoys me so much in almost all his films that when he was arrested in Hans Christian Andersen, I cheered. Therefore, I have no love for Thumbelina. Now, if we look at the nominees, we find that only one is a genuine classic, among the greatest songs written for film. High Noon, both song and film, are sparse but brilliantly done. I would have given it to Make 'Em Laugh from Singin' in the Rain, save for the fact that intentional or not, it sounds too much like the Irving Berlin number Be A Clown. Make 'Em Laugh sounds so much like Be A Clown that I thought it WAS another version of the same song. You could easily fit the lyrics to Be A Clown to Make 'Em Laugh and vice-versa, and while I don't think it was intentional, it is highly curious. Before you kill me, let me explain myself. I think Ford deserved the Oscar, BUT I also think that it takes a certain great director to keep something like The Greatest Show on Earth from grinding down to a full stop. It might be big, it might be lumbering, but I never found The Greatest Show on Earth slow or boring. With that being said, I think the Best Director was the one who kept things rolling. Therefore, DeMille. 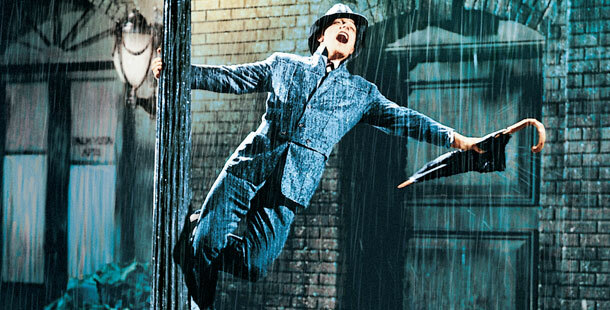 Now seen as one of the greatest films ever made, Singin' in the Rain garnered exactly two nominations the year it premiered. This should be proof to everyone that the Academy sometimes is just nuts. Gloria Grahame had a great year in 1952. She not only appeared in two hits: Sudden Fear and The Greatest Show on Earth, but won an Oscar for her Southern vamp-type in The Bad and the Beautiful. While The Bad and the Beautiful is a great film, I am completely stunned that Gloria Grahame was singled out for her performance when a.) she wasn't an important character, and b.) she was in the film at most, maybe 10 minutes, and I think I'm being generous. Her performance was neither amazing or memorable, two things you can't say about Hagen's Lina Lamont. Comedy is looked down by the Academy, and we can see it is to their detriment. Hagen was brilliant as the dumb blonde silent film star who insisted she was "Smarter than Calvin Coolidge...put together!" Vain, self-centered, and with a heart of brass to match her pretty face, Hagen showed what range she had as an actress. I have no problem nominating Grahame, but she was much better and had a more important role in The Greatest Show on Earth than she did for what she won an Oscar for. Still, I find no better performance that year than Hagen. I'm sure at the time, Arthur Hunnicut had as much of a chance as anyone to win Best Supporting Actor, though now I figure no one knows Arthur Hunnicut. This would be Burton's first of a total seven failed Oscar bids, some which he should have won, others which the right person was selected. Out of the choices, I find it to be a fight between McLaglan's tough Irish bully and Quinn's turn as Emiliano Zapata's brother. To their credit, at least they cast Quinn correctly, but my heart goes to McLaglen's comic turn. Now that I think of it, there was a lot of comedy this year, and a lot of it was ignored. Since the BIG drama lost, exactly why comedy was so overlooked this year is a bit of a puzzle. As you can tell, I have greater respect for The Greatest Show on Earth than most. I honestly don't get the hate. However, looking back at the year, was there a greater second-banana performance that that of O'Connor's sidekick? My goodness, the Make 'Em Laugh number alone should have merited some recognition from the Academy. O'Connor had his moments without overwhelming the leads, and in this he was the perfect supporting role. How he was ignored is a black mark on the Academy...as if Eddie Redmayne isn't a big-enough one already. 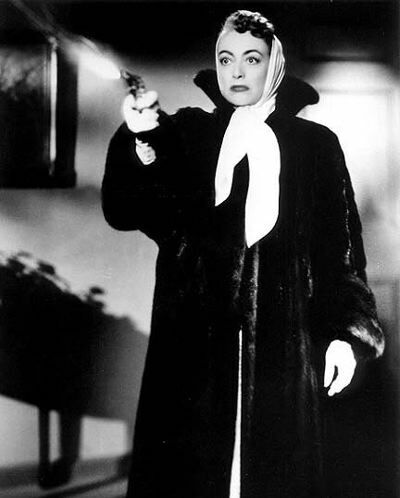 Oddly, I think this is the only time Joan Crawford and Bette Davis, lifelong enemies, were in direct competition for the Oscar both loved so well. What holds me back from giving Davis the prize is that The Star plays too close like a weird Sunset Boulevard/All About Eve mashup...and that it plays too close to home with regards to Davis' career. Out of all the others, I can't say I'm super-excited about any of them, but for the moment Crawford seems the best bet. It's interesting that I didn't find any of the actual nominees worthy of placing on my list. I'm not saying they were bad performances, merely that I thought this year we had a few better ones, or at least more memorable. Monroe was never given the credit she deserved, and Don't Bother to Knock was an early indication that she could handle drama extremely well. 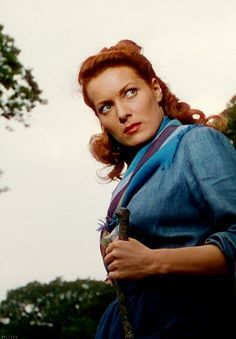 However, I think O'Hara's spirited Irish lass able to hold her own against the Duke is one of her finest performances. The fact she never received an acting nomination is yet another sign of how the Academy got it so, so wrong again and again. Again, comedy is ignored (unless you count the comedy of seeing an Anglo playing a Mexican). I fully support Cooper's win, but somehow I think at the moment I lean to Douglas' amoral Hollywood producer in the David O. Selznick tradition, but just barely. 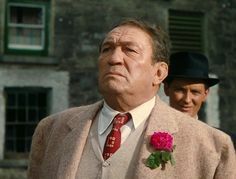 First, how do you have a movie called The Quiet Man and NOT nominate the Quiet Man himself? Wayne was yet another actor who never got the credit he deserved. Now, I think everyone knows the legendary title number from Singin' in the Rain, but Kelly had to be romantic, charming, a bit of a ham, and comic. I find it a full performance, from the "Dignity" speech right down to his efforts at seduction to his evolution to a man in love, and the inadvertently comic turn in The Dueling Cavalier sequence. As a side note, I'd love to see Cosmo's suggestion for a movie after the disastrous preview: The Dueling Mammy. When Mary Pickford opened the envelope and announced The Greatest Show on Earth had won, there were audible gasps in the audience. Even the orchestra was apparently taken aback, taking a few seconds to find the theme music to the film to play. The explanations for The Greatest Show on Earth's win are many. There is the theory that the Academy wanted to essentially give an Oscar to Cecil B. De Mille and Best Picture was a de facto Lifetime Achievement Award. Another theory suggests that the Academy, wary of the leftist politics of both High Noon and Hollywood in general (this being a year where the Red Scare was at its strongest), Academy members chose the safe, apolitical film from the leading and most outspoken Hollywood conservative of the time. Now, these are all good theories, but I think there is more to The Greatest Show on Earth's win than meets the eye. People forget that in Hollywood, nothing succeeds like success and/or excess. The Greatest Show on Earth was the biggest hit film of the year, so the idea that it was such a left-of-field choice (no pun intended) is a little hard to believe. It is the equivalent to Titanic winning...because more people saw that film than the other nominees (and I still think Titanic is a worse film than The Greatest Show on Earth). It isn't that people hadn't heard of the film, in fact The Greatest Show on Earth might have been the only film some in the television audience had seen. I am not completely convinced DeMille's politics got him the Oscar. John Ford at this time was a staunch liberal, and he won his record-setting fourth Directing Oscar. The Academy gave Cooper the Oscar for a 'liberal' film, despite Cooper's strong conservatism. Cooper either didn't see or acknowledge High Noon's politics, but even those are subject of debate. There's a theory that High Noon is really a pro-McCarthy film, with the townfolk unwilling to stand against the Red takeover of America. If that's the case (a dubious one, but interesting nonetheless), then we throw the whole 'Lefties Didn't Win' bit out the window. Curse An American in Paris. I think the Academy thought one musical was enough, so they opted to not nominate what is really one of the greatest films ever made, a delightful love letter to the movies. Out of the five official nominees, no one remembers either the winner or Ivanhoe, and Moulin Rouge is iffy. People do still remember a few not nominated, especially the musical comedy about the transition from silent to sound films. I enjoyed The Greatest Show on Earth, respect High Noon, and love The Quiet Man, but for me, Singin' in the Rain is the Best Picture of 1952. Next Time: The 1953 Academy Awards.